What is next in Wi-Fi modules for IoT? The age of the internet of things is here. Today, researchers aim to make every appliance smarter by connecting it to the internet, allowing remote access to the user. According to Cisco, by the end of 2020, more than 50 million IoT devices would be connected to the internet. The ubiquitous IoT solely depends on internet connectivity. Thus, if we consider that the prediction is true, the world needs a faster, better, stronger, and smarter Wi-Fi module, so that the smart things could “talk” to each other as well as to humans. These aspects have boosted the demand of powerful Wi-Fi module, increasing the growth of the global Wi-Fi module market. Wi-Fi modules are the functional unit and an independent system on a chip (SoC) integrated with transmission control & internet protocol stack that enable microcontrollers to gain access to Wi-Fi networks. According to a research firm, Allied Market Research, the global Wi-Fi module market is expected to reach $59.14 billion by 2024, registering the CAGR of 11.2% during 2018–2024. If you look around your office or your home, there are so many electro-mechanical devices that can be converted into IoT devices. All they need is a couple of sensors and a strong Wi-Fi module. The list of advantages of Wi-Fi modules is long, but the topmost benefit they provide is seamless connectivity to IoT applications. As they offer low-cost infrastructure and ease of development, these modules are now regarded as the most suitable candidate for IoT applications. Moreover, Wi-Fi can be used as the prime mode of communication to connect multiple devices at the same time. Thus, the new update has evolved in the industry of Wi-Fi module. Wi-Fi HaLow! Same as Wi-Fi, Wi-Fi HaLow allows digital devices to connect to the internet without exhausting the cellular data. Most importantly, Wi-Fi HaLow is designed for the network of connected devices in a smart home and multiple smart wearables that include IoT. Wi-Fi HaLow is expected to be a standard mode of internet connection in smart cities, where smart devices and wearables would work on a faster Wi-Fi than traditional Bluetooth technology. According to Wi-Fi Alliance, Wi-Fi HaLow works in the radio frequency range, 900 Mhz band, which is mostly used by baby monitors and microwave ovens. Although Wi-Fi HaLow works seamlessly penetrating walls, power consumption is still the biggest obstacle. However, the company hopes for more technological breakthroughs to increase the robustness and efficiency of Wi-Fi HaLow. Nothing brings down the zest of working with IoT application like a low battery indicator. In fact, in a large application, changing battery can be equivalent to putting someone’s life at risk. Today, people use smart wearables such as Apple Watch that needs a continuous internet connection and dying battery turns them into an impractical purchase. Thus, developing low power consuming Wi-Fi modules is the next challenge in this tech market. On the other hand, owing to the recent development in the power saving techniques, it is now possible to connect Wi-Fi modules to battery-powered devices. In addition, considering the type of application, the IoT device can be put on hibernation mode to increase the operating life of the device. For instance, a surveillance camera that requires 24×7 Wi-Fi connectivity can last up to two years with a 5,000 mAh battery backup. Such battery-saving modes can boost the efficiency of Wi-Fi modules and can be used in smart IoT devices util a better, smarter, and low-power consuming module hits the market. Cyber threat is the next level of terrorism. Thus, no matter how powerful and efficient your IoT application is, you need to make sure that the transmission of users’ data is secure. Now, every IoT device uses Wi-Fi connection and this wide adoption has made data security a tedious job. Thus, Wi-Fi modules with security enhancements would be an effective way to protect user data. For instance, make sure the module is so secure that unauthorized devices cannot be paired with it, protecting the data from third-party threats. 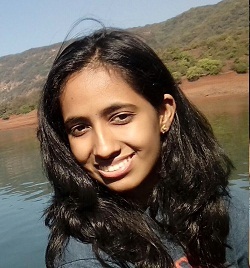 Swamini Kulkarni holds a bachelor’s degree in Instrumentation and control engineering from Pune University, and works as a content writer at Allied Market Research. She is deeply fascinated by the impact of technology on human life, and loves to talk about science and mythology. When she is not glued to the computer, she loves to read, travel, and day dream about her areas of interest. Smart Home Assistants – Security Nightmare?